International Women’s Day (March 8th) is dedicated to celebrating the accomplishments of strong women. What better way to do that than with an inspiring collectible made with motivational women in mind? 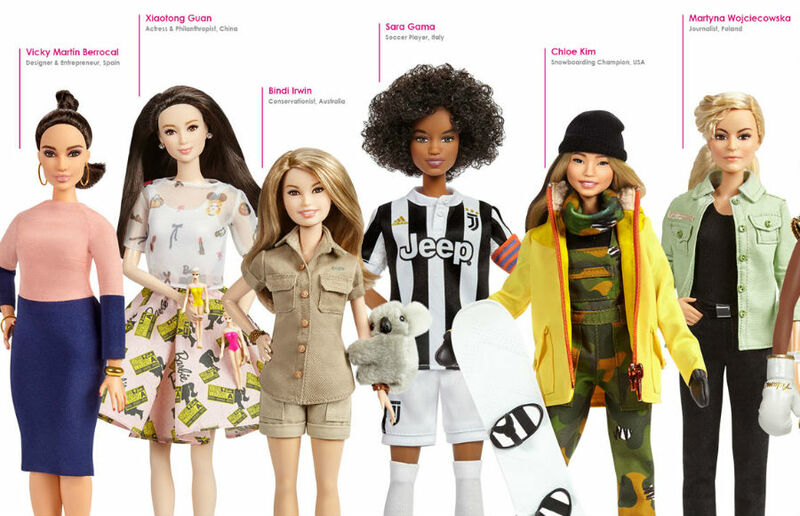 This year, Barbie is creating dolls of real women in honor of International Women’s Day. And while you may not think you need a doll at this point in your life, these will make you think again. Barbie has been the source of controversy before, as many believe the dolls have promoted unrealistic expectations about the way women should look. In the last few years, the doll’s makers have made an effort to change this in a positive way, with more diverse dolls and a wider variety of body shapes. This year, Barbie is clearly embracing the feminist movement with their announcement of the following new dolls. "As a brand that inspires the limitless potential in girls, Barbie will be honoring its largest line up of role models timed to International Women’s Day because we know that you can’t be what you can't see. Girls have always been able to play out different roles and careers with Barbie and we are thrilled to shine a light on real life role models to remind them that they can be anything." The new “Inspiring Women” line is dedicated to powerful women from history who have had an impact in the feminist movement. The list includes artist Frida Kahlo, legendary female pilot Amelia Earhart, and mathematic pioneer Katherine Johnson. The second line, created in partnership with their “Shero” program, honors women who have broken boundaries and acted as an inspiration to girls everywhere. This includes USA snowboarding champion Chloe Kim, the first woman filmmaker Patty Jenkins, and conservationist Bindi Irwin. 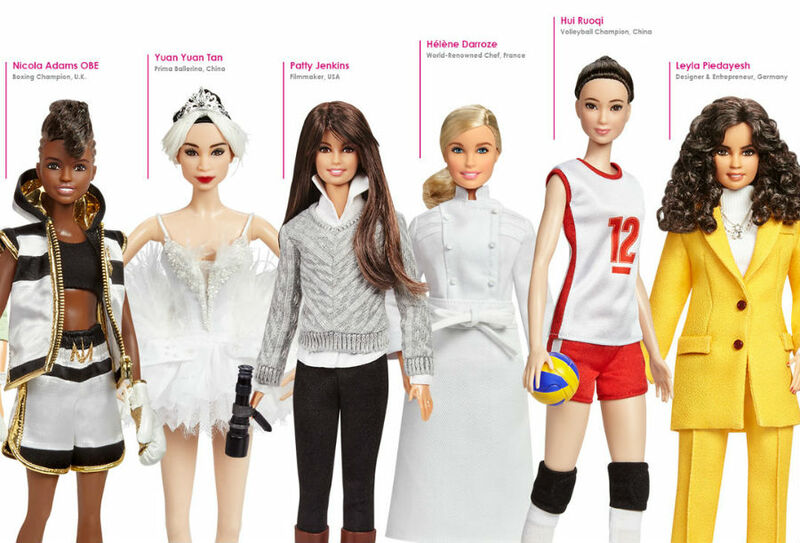 Other dolls include boxing champion Nicola Adams, windsurfer Çağla Kubat, world-renowned chef Hélène Darroze, volleyball champion Hui Ruoqi, designer Leyla Piedayesh, professional golfer Lorena Ochoa, journalist Martyna Wojciechowska, soccer player Sara Gama, actress and philanthropist Xiaotong Guan, prima ballerina Yuan Tan, and fashion designer Vicky Martin Berrocal. Some of those names likely won’t sound familiar to American girls, but that’s the beauty of the line: it celebrates women from all over the world, not just women who are popular in the states. This is a chance to introduce young girls to female icons from different countries and nationalities, women they otherwise may not learn about. That’s pretty powerful. This isn’t the first time Barbie has released dolls inspired by strong females. They have previously honored women like Ibtihaj Muhammad, Misty Copeland, Ava DuVernay, Eva Chen, and Ashley Graham. The brand is also searching for more inspiration — they are asking fans to tag and share their female role models using the hashtag #MoreRoleModels on social media. These new dolls will definitely be more special than your average Barbie. We don’t know about you, but we want to get our hands on them ASAP. This is the perfect way to celebrate International Women’s Day with the little girls in your life.